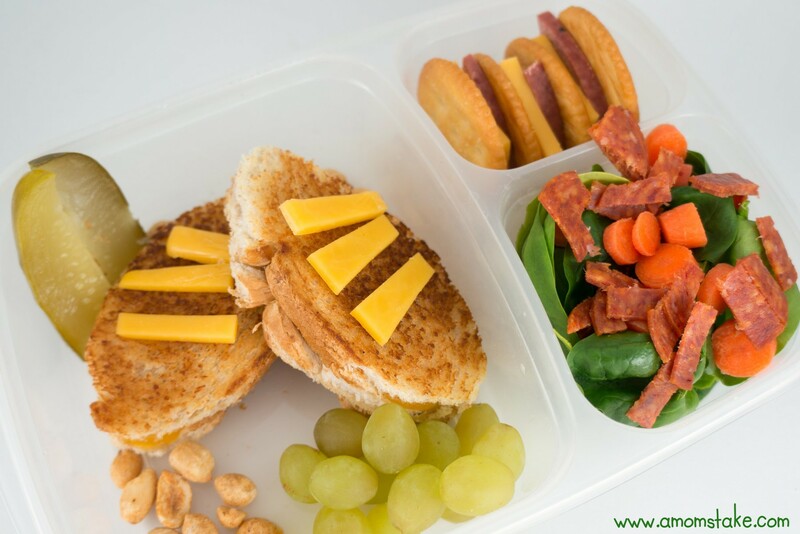 With football season rolling it, your kids will love a fun themed lunchbox! Toss in your favorite foods and finish of your lunchbox with something reminiscent of your favorite football team and you’ve got yourself a field goal! 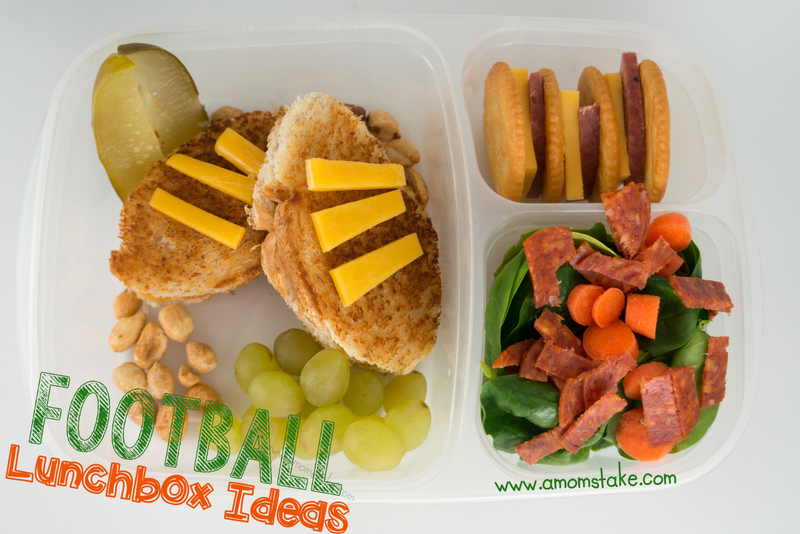 Here’s my football themed lunchbox ideas to help you get started making that perfect lunchbox for your kids! Grilled Cheese Football Sandwiches – Start with a warm grilled cheese and turkey sandwich that will give a beautiful crispy bread that will be reminiscent of a leather football. Top it with a few thin slices of cheese to make your football stripes. Show me the Green! Any football themed lunchbox would be left incomplete without lots of splashes of green to represent the field. Toss some fresh spinach with baby carrots cut into small rings and a few slices of pepperoni diced into small pieces for a spicy and festive salad that the kids might even cheer about! Football Shaped Snacks – Peanuts and grapes are both naturally shaped like mini footballs and make a great addition to any lunchbox! Field Line Build-a-Cracker – Represent the field’s yard markers with an alternating pattern of crackers, summer sausage, and cheese! Your child will love picking up the whole tower and trying to take a bite, or pulling the goodies out to make their own cracker snack. You’re a Pickle – We finished off our lunchbox with a pickle spear to keep that green color popping up throughout the lunchbox. The half spears can also form goal posts as your kiddo tries to flick the peanuts through the posts! Team Hoo-rah! If you’re backing a favorite team, be sure to add in a fun surprise to represent your team such as a mini football player, a football card, or even just a note to your favorite “champ” wishing him a great day! What other football themed lunchbox ideas do you have? More lunchbox fun! 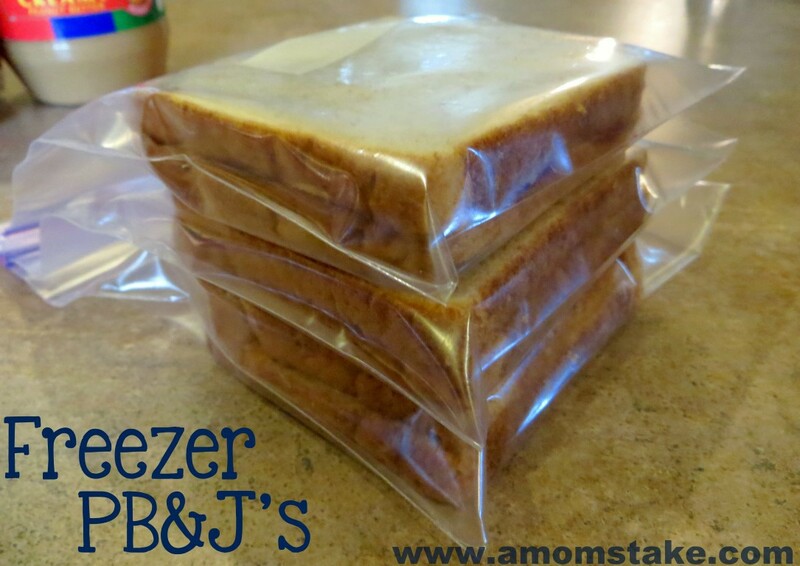 Here’s a great post on how to Freeze PB&J sandwiches! 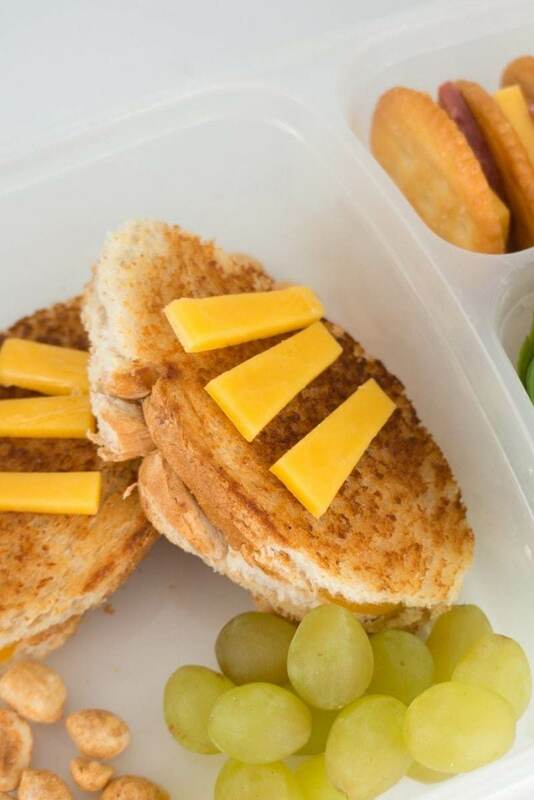 I’ve been thinking of putting grilled cheese in my kids’ lunches, but I wasn’t sure how it would hold up. You’ve inspired me to go ahead and give it a try! I like the pickle idea for goal posts, an alternative would be to make goal posts with Cheese Strings and football themed picks? I love these ideas. How creative! I didn’t even think to make lunches Football themed with the Super Bowl quickly approaching.The little football sandwiches are so cute.